Defensa y Justicia and Argentinos Juniors meet at Estadio Norberto Tito Tomaghello, in a match for the 18th round of the Primera División. 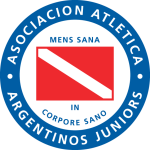 Oddly enough, the head‑to‑head record favours Argentinos Juniors: in the last 4 matches they won 2, tied 1 and lost 1. The home/away factor is worth special atention, since although this is a match between 2nd and 26th of the league table, it’s also a match between the 4th best team in home matches and the 17th best in away matches. After 11 wins and 6 draws, the home team is in the 2nd position, havinf won 39 points so far. In the last match, they have won in an away match against San Martín Tucumán by (1‑2), after in the previous match they have won (1‑0) at home, against San Lorenzo. Interestingly enough, this is a team that has had better results in away matches than at home, since they have won 21 points in away matches and only 18 at their stadium. In their last match, for the Copa Sudamericana, they got an away loss against Botafogo by (1‑0). 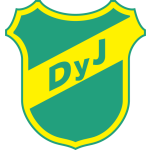 In the last 8 home league matches Defensa y Justicia has a record of 5 wins and 3 draws, so they have won 18 points out of 24 possible. In this competition, they haven’t lost any of the last 17 matches. The most recurrent final score in their home league matches was the 1‑1 (3 out of 8 matches). Their offense has scored consistently, as they have scored goals in 9 of the last 10 matches for this competition. There is a tendency for goals in their home matches, as 7 of the last 8 for this competition have ended with Over 1,5 goals. They have conceded the first goal in 6 of their 17 matches for this competition, but have been able to turn the score around in 2. Confirmed Lineup: E. Unsain, A. Barboza, N. Tripichio, L. Martínez, R. Delgado, D. Blanco, L. Miranda, M. Rojas, N. Fernández, C. Rius, G. Togni. The away team is currently in the 26th position of the league, with 11 points won, after 2 wins, 5 draws and 10 losses. In the penultimate match, they lost in an away match against Colón, by (2‑0). In the last match, they tied in a home match against Belgrano, by (0‑0). This is a team that usually gets better results in away matches than at home, since they have won 6 points in away matches and 5 at their stadium, with 3 goals scored and 10 goals conceded at home, against 2 goals scored and 7 goals conceded in away matches. In the last 8 away league matches Argentinos Juniors has a record of 1 win, 3 draws and 4 losses, so they have won 6 points out of 24 possible. In their away matches there are a few frequent results: at half‑time 1‑0 (3 out of 8 matches) and 0‑0 (4 out of 8 matches) and after the 90' 0‑0 (3 out of 8 matches). Defensive consistency hasn’t been their best feature, as they have conceded goals in 7 of the last 10 matches, and their offense hasn’t been one of their best features, as they haven’t scored any goals in 7 of the last 10 matches for this competition. In their away matches there is a tendency for few goals, since 7 of the last 8 matches for this competition have ended with Under 2,5 goals. This is a team that has had a hard time trying to score first. They have opened up the score in only 3 of the last 17 matches for the Primera División, they have reached half‑time in front in 2 of those 3 matches and have held on to the lead in 2. In 17 matches for this competition, they have conceded the first goal 9 times and have never been able to turn the score around. Confirmed Lineup: L. Chávez, M. Torrén, J. Sandoval, C. Quintana, E. Gómez, D. Batallini, F. Moyano, A. Mac Allister, R. Bobadilla, M. Romero, G. Hauche.